Train surfing has taken the mantle from parkour (or ‘free running’) as one of the most extreme sports doing the rounds on social media in recent months, and it seems to be gaining popularity around the world, although not everyone is happy about it. Footage reportedly taken by Facebook user Alex Campos at the 149th Street-Grand Concourse Station in the Bronx on Wednesday shows three teenagers climb aboard the rear of the packed number 4 train right as it departs the station, much to the consternation of bystanders. 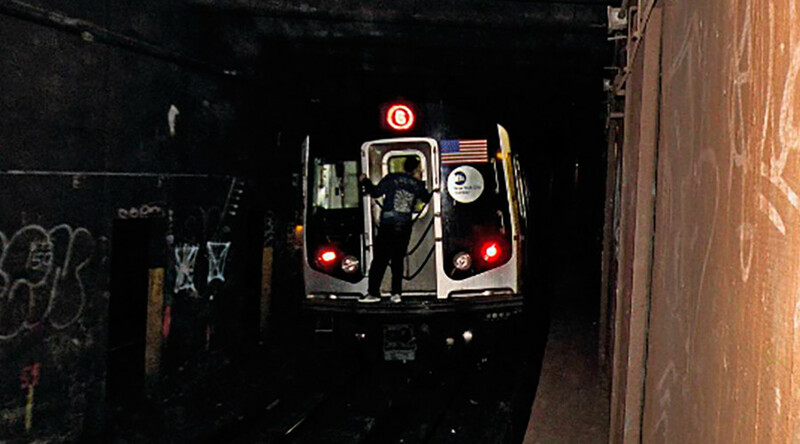 While there have been no reports of injuries in this instance, a man was decapitated while he attempted to subway surf in December of 2016, according to the New York Daily News. Numerous videos of ‘subway surfing’ attempts have been shared across social media around the world. It might be best to just wait for the next one in future.